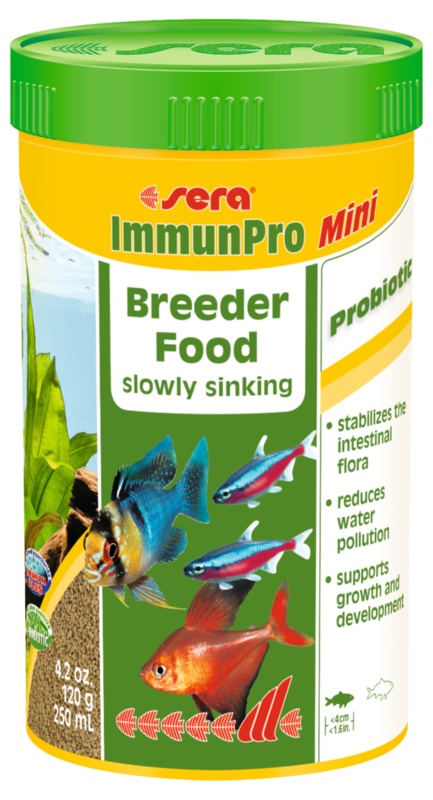 sera ImmunPro Mini is the slowly sinking breeder food for all ornamental fish up to 4 cm (1.6 in.). 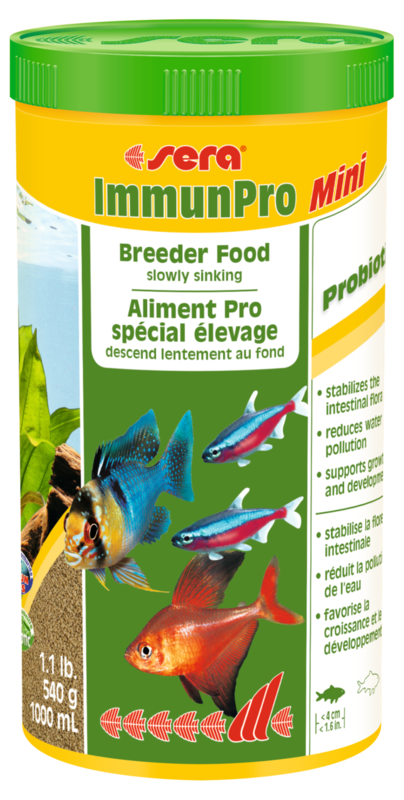 The probiotics are applied to the food in a particularly gentle procedure and stabilize the intestinal flora of the small ornamental fish. They ensure reduced water pollution because of more efficient food utilization. 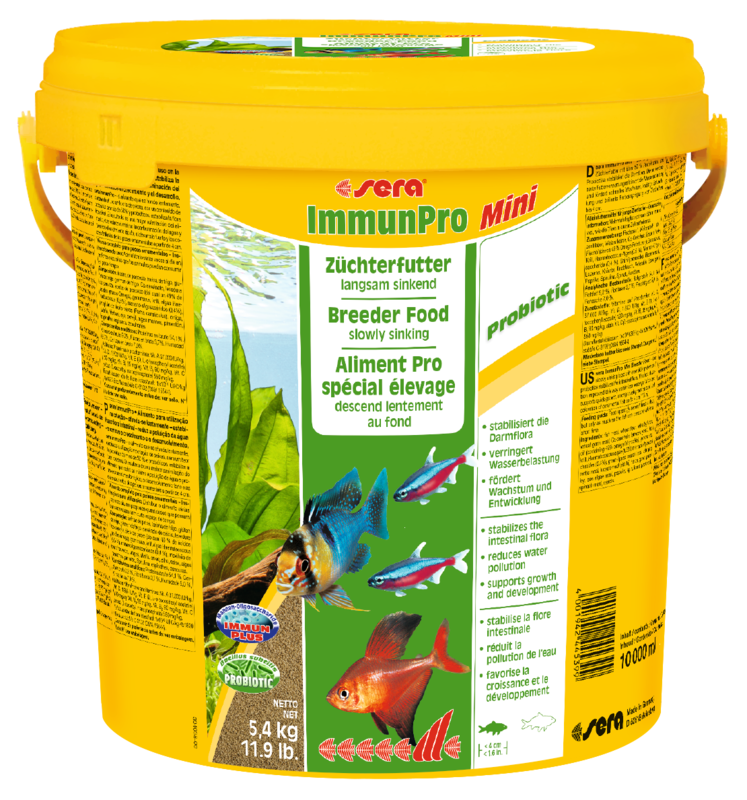 Due to the high protein percentage of more than 50%, the addition of probiotics and other functional ingredients such as MOS, Haematococcus and Spirulina, the breeder food ensures quick growth, strong development and brilliant coloration of the fish. 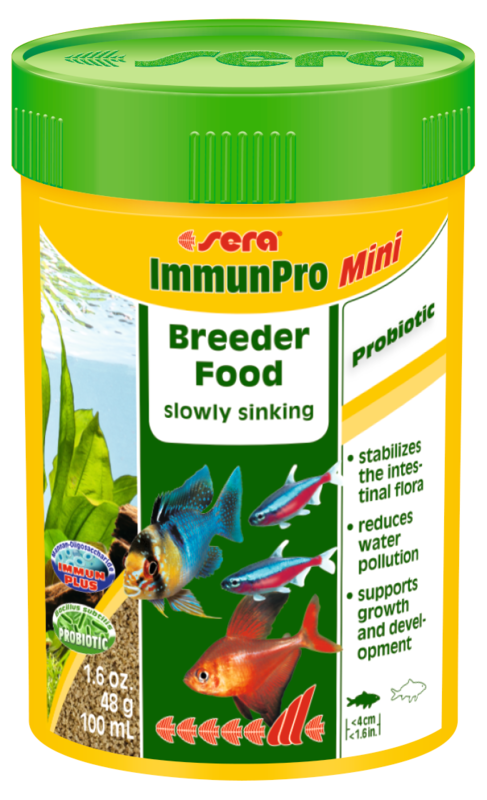 fish meal, wheat flour, wheat gluten, wheat germ, Ca-caseinate, brewers yeast, fish oil (containing 49% omega fatty acids), gammarus, krill, Haematococcus algae (0.5%), mannan oligosaccharides (0.4%), green-lipped mussel, stinging nettle, alfalfa, herbs, garlic, parsley, sea algae, paprika, spirulina, spinach, carrots. 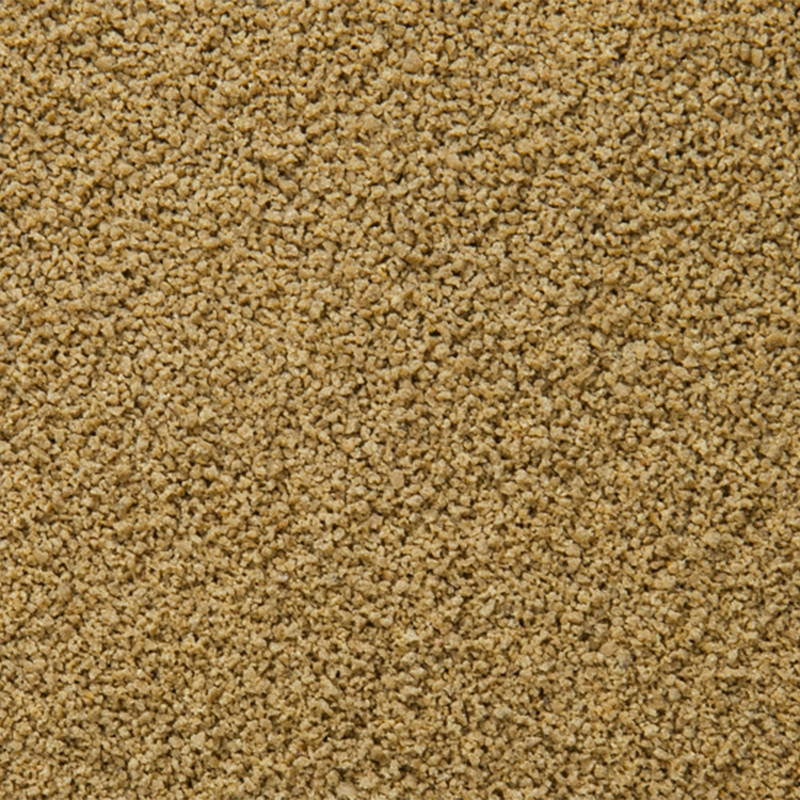 Crude Protein 54.1%, Crude Fat 9.2%, Crude Fiber 3.7%, Moisture 5.0%, Crude Ash 7.0%. Gut flora stabilizer: 1x1010 CFU/kg 4b1820 Bacillus subtilis C-3102 (DSM 15544).